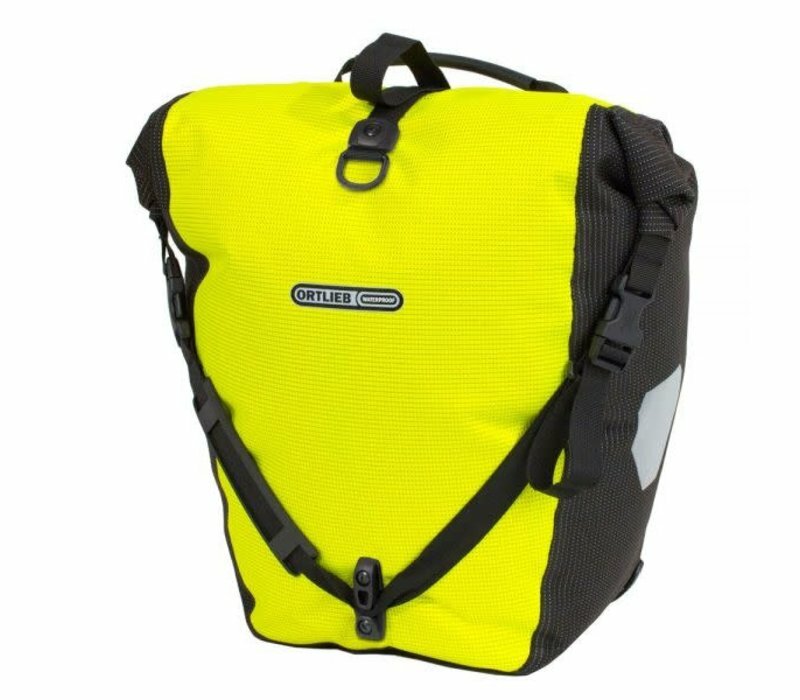 A brilliant idea for all-season, all-weather riders: the bike bags in the ORTLIEB High Visibility Line make it easier for other people to see you while you’re out there on the streets. A brilliant idea for all-season, all-weather riders: the bike bags in the ORTLIEB High Visibility Line make it easier for other people to see you while you’re out there on the streets. This is because all High Visibility bags not only come with reflectors, but are themselves one big reflector. The waterproof bags are made with a polyurethanecoated Cordura fabric that is woven through with a high-luminosity reflective yarn in neon yellow and black. That gives ORTLIEB High Visibility bags an added safety feature in twilight conditions and in the dark of night. 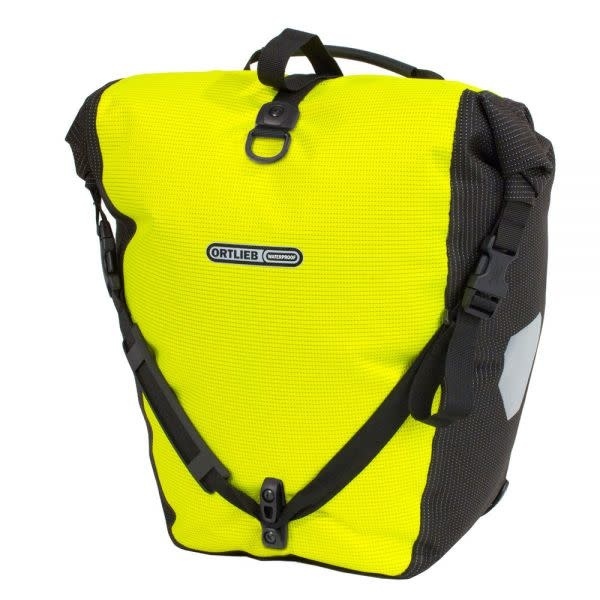 The Back-Roller High Visibility is the ideal bike bag for those who prefer the convenience of the roll closure system. The durable, waterproof, dustproof, abrasion-resistant and high quality fabric ensures optimal protection for your gear. Equipped with the sophisticated QL2.1 system with self-closing hooks, the Back-Roller attaches to your bike in a flash. And simply use the easily detachable shoulder strap to carry your bike bag comfortably once you’ve arrived at your destination.